The hearing could lead to the markup of a bill that would stop the DOL rule until the SEC comes out with its own. The House Financial Services Capital Markets and Oversight and Investigations Subcommittees plan to hold a joint hearing Sept. 10 on the Department of Labor’s proposed rule to redefine the definition of fiduciary on retirement accounts. While the joint hearing has yet to be officially announced, industry officials say it will lead to a markup of Rep. Ann Wagner’s bill, H.R. 2374, the Retail Investor Protection Act, which requires the DOL to wait to repropose its rule until the Securities and Exchange Commission issues its own fiduciary rulemaking. Wagner reintroduced her bill on Feb. 25. While the bill could pass the House Financial Services Committee, it would likely not be taken up in the Senate. 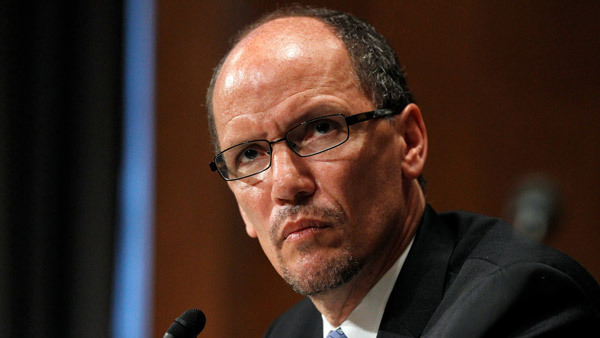 Industry officials say the most dangerous threat to DOL’s fiduciary rulemaking will come through a rider attached to either the fiscal 2016 appropriations bill or Continuing Resolution, which will seek to defund the department’s efforts to complete or enforce its fiduciary rule. Both the House and Senate Appropriations Committees have offered funding bills that state that “none” of the DOL’s funds may be used to “finalize, implement, administer or enforce” its proposed rule to redefine fiduciary under the Employee Retirement Income Security Act. The DOL held hearings on its fiduciary redraft from Aug. 10-14; a DOL spokesperson told ThinkAdvisor Tuesday that the transcript of those hearings has not yet been published. Once the transcript is published, public comments will be taken for approximately two to three weeks.